Yoco CEO Katlego Maphai believes enabling card payments is transformative and wants to do that for African SMEs. South African payment services provider, Yoco, is planning international expansion after raising funding through two foreign, fintech-focused institutional investors. The new capital from US-based Quona Capital and Netherlands-based Velocity Capital will help Yoco grow its national footprint, launch new fintech services and lay the groundwork for international expansion in 2018. Yoco enables SMEs to accept card payments, and provides card readers and free point-of-sale and business intelligence tools to 6 500 South African merchants. It processes over R1 billion in transactions per year. 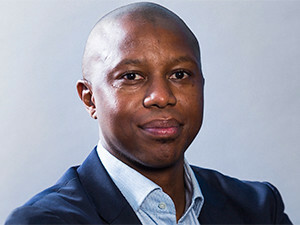 CEO and co-founder Katlego Maphai says the company aims to become the leading SME brand in Africa, and this round of funding will enable it to build the foundations it needs to achieve that goal. "In addition to being a milestone and validation for Yoco, this round is a vote of confidence in SA's growing fintech and start-up ecosystem. Raising smart capital from seasoned fintech investors will enable us to continue our self-directed journey to grow the SME payments markets through world-class execution, delivered with radical simplicity," he says. The company was founded in 2013 by Maphai, Carl Wazen, Bradley Wattrus and Lungisa Matshoba, and officially launched in 2015. It has undergone prior funding rounds, having raised seed capital from angel investors and seed funds, including the likes of CRE Venture Capital, specialist fintech angel investor Robby Hilkowitz, and Greg Kidd (a first round investor and advisor at Square and Twitter). This is, however, the first funding round it has raised solely from institutional investors, and is bigger than previous raises. "We believe enabling card payments is transformative for businesses, and want to be able to do that for SMEs across the continent. This round of funding will enable us to start on that journey," says Maphai. Quona Capital is a growth-stage venture firm focused on financial technology for inclusion. The $141 million Accion Frontier Inclusion Fund, managed by Quona Capital, is the first global fintech fund for the underserved and is backed by major investment banks, global insurance companies, Fortune 100 payment players and many other prominent investors. Dutch firm Velocity Capital specialises exclusively in early-stage fintech investments, and invests globally but selectively. "There is a massive opportunity to expand access to, and the quality of, financial services through the digitisation of SME payments and payments data in Africa, where cash still predominates in many economies," says Quona Capital co-founder and partner Monica Brand Engel. "Yoco is a market-maker," says Velocity Capital director Allard Luchsinger, "growing the size of the card payment acceptance market. Seventy percent of the merchants it currently services had never accepted card payments before Yoco made it possible for them to do so."